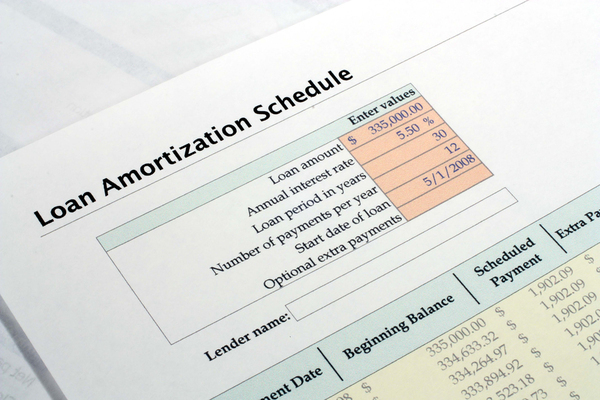 An Excel loan amortization schedule template can help you plan your loan repayment. If you’ve taken out a loan or plan to do so in the future, you are committing yourself to making certain payments to the lender. How you track these payments and fit them into your overall budget can be a challenge, unless you have a process and the right calculation to follow. Fortunately, an amortization schedule can provide you with the exact amount due over the life of your loan and Excel can create this through various formulas. You can certainly make one of these schedules on your own, but this isn’t necessary since there are a ton of free loan amortization schedules for Excel that you can download and use. When you “amortize” a loan, you schedule out the payments until the entire balance — the principal plus interest — equals zero. Even better, an amortization schedule will tell you how much of your payment goes towards the principal of the loan the amount that goes towards the interest. When you make payments early in a loan, more of the payment goes towards interest, but this changes over time, where a larger portion will pay down the principal as your loan term progresses. Before you begin working with amortization schedules, it will be helpful to learn a few common terms and definitions. Principal Loan Amount. This is the face value of your loan. For example, you take out a $200,000 mortgage or a $25,000 car loan. It doesn’t include interest charges. Period of Loan. This is the term of your loan, such as a 30-year mortgage or a 60-month car loan. Total Repayment. This is the total amount you’ll pay on the loan, including principal, interest, and fees. Rate of Interest. This is the value of the payment accrued on the loan, which can be a fixed or variable rate. Annual Interest Rate. Also called the Annual Percentage Rate (APR), this is the true cost borrowing since it includes all interest, fees, and taxes. Cumulative Interest. On an Excel schedule, this shows you how much total interest you paid on a loan. Beginning Balance. This is the amount owed on the loan that includes principal, interest, and fees. Ending Balance. This is the remaining amount due at any period during the loan after a payment has been made. There are basic Excel loan amortization templates as well as those for home equity loans. Whether you’re looking to plan payments for business or personal use, this list of 15 free Excel loan amortization schedule templates is extensive. Each schedule provides a framework to determine balances owed and paid as well as lists all payments scheduled over the life of a loan. You need only plug in your loan terms such as the total amount, duration, frequency of payments, and interest rate, and the calculator will provide your schedule. As always, Excelchat is available to provide one-on-one help should you require additional assistance with any of these templates or anything else related to Excel. An all-purpose loan amortization schedule template will work for many different types of loans, such as mortgages, auto loans, commercial loans, and personal loans. You simply enter the information into the template related to your loan terms, and it will provide you with an amortized schedule for the life of the loan. 1. Smartsheet offers a free general loan amortization schedule template for Excel. There is a data entry section at the top to enter your purchase price (loan amount), down payment, APR, length of loan, payment frequency, and first payment date. The schedule will display the balance on the loan after the date for each payment, with totals paid for principal and interest. 2. Microsoft Office has a free basic loan amortization schedule template for Excel that you can download. You enter the loan amount, APR, loan period, number of payments per year, start date of the loan, and an optional amount for extra payments. The template provides a schedule and a loan summary. 3. The simple interest loan calculator from Spreadsheet123 is a basic and clean loan calculator that includes a loan summary, visual graph for your loan payoff, and an amortization schedule. 4. If you have a loan that allows for an interest-only period, Spreadsheet123 has a free interest only loan calculator with amortization schedule. You enter in the terms of your loan as you would any other template and then put in how many years your loan will be interest-only. The schedule will then adjust accordingly. 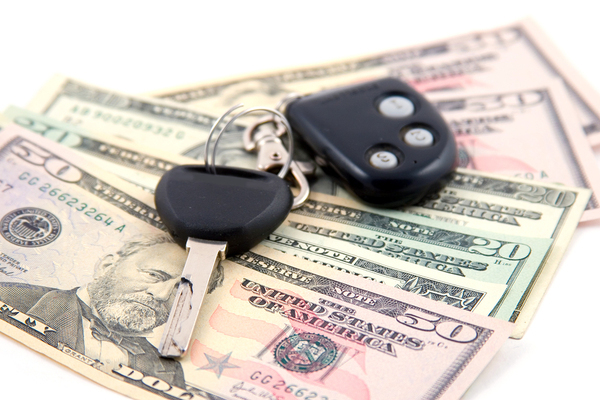 Before you buy your next car, carefully plan your payments with an auto loan amortization schedule. While some general loan amortization templates will work for a mortgage, there are nuances with these loans that are best handled by a specialized template. Mortgage loan amortization templates might be able to handle such things as compound periods for interest rates and balloon payment loans. 5. The free Excel mortgage loan amortization schedule template from Smartsheet differs from its general schedule in several ways. It allows you to enter a compound period, such as semi-annually. The template will also show you how putting extra payments into your schedule will impact what you owe and your final payoff date. 6. Smartsheet’s free Balloon loan amortization schedule template assumes that you will have a single large payment at the end of your loan. You enter in all of your mortgage loan terms as you would any other loan as well as the amount of the balloon payment, and this template will provide you with the correct schedule. 7. Microsoft Office offers a free Mortgage Loan Calculator for Excel that includes an amortization table. You simply enter the purchase price of the home, the loan amount, APR, loan length, and start date. 8. MortgageCalculator.org offers a free Excel mortgage calculator with amortization schedule template. The template will respond automatically when you make any changes to the inputs, such as the loan amount, interest rate, loan term, payments per year, optional extra payment, and loan start date. 9. If you have an adjustable-rate mortgage (ARM), the free ARM calculator with amortization schedule from Vertex42 is the best template choice. It allows you to enter your loan terms, including the interest rate cap, the number of months to the next adjustment, and the expected adjustment in the rate. Excelchat can help troubleshoot issues with loan amortization templates or guide you with customization. 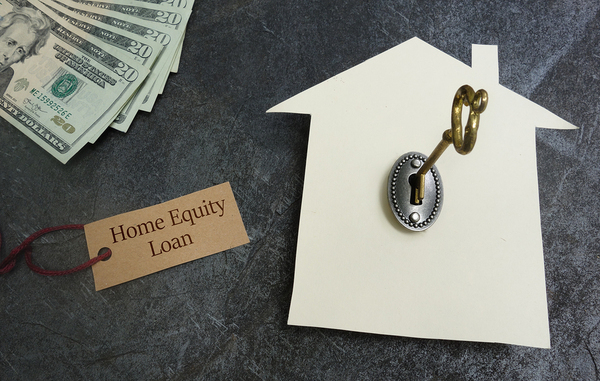 A home equity loan essentially acts as another mortgage, but you won’t qualify for one of these loans unless you have sufficient equity in your home. A loan amortization schedule for home equity can help you determine the total amount of equity you carry in your home after you’ve paid on a mortgage for a certain period. 10. Smartsheet offers a free home equity loan amortization schedule template for Excel. You enter your current mortgage loan terms, and it gives you both a schedule and totals for the principal and interest paid on the loan. You can also figure out what will happen by making extra payments and how long it would take you to pay off both a mortgage and home equity loan. 11. If you are looking to track the repayment of a home equity line of credit (HELOC), Vertex42 has a free HELOC calculator with amortization schedule. You simply put in your credit limit and other terms and there are multiple repayment options as well as a schedule that shows you how much you are paying over time. When it’s time to buy a new set of wheels, it’s helpful to know exactly how much you can afford to spend when taking out a loan. The right loan amortization schedule will give you the full picture that includes loan interest and possible fees. 12. Smartsheets has a free auto loan amortization schedule template that is incredibly detailed. You can enter information about the purchase price of the vehicle, fees (title, registration, taxes, etc. ), your trade-in value, and your loan terms. You’ll get output telling you the monthly payment, total payments, total interest paid, and a payoff date with a schedule. 13.-15. Template.net offers three different car loan amortization schedule templates, and you can download the one that best suits your needs. There is a bi-weekly auto loan amortization schedule for people that make auto loan payments every two weeks. The simple auto loan amortization schedule assumes a single monthly payment over the course of the loan. The auto loan amortization schedule with extra payments lets you enter data about optional extra monthly payments for a faster payoff. 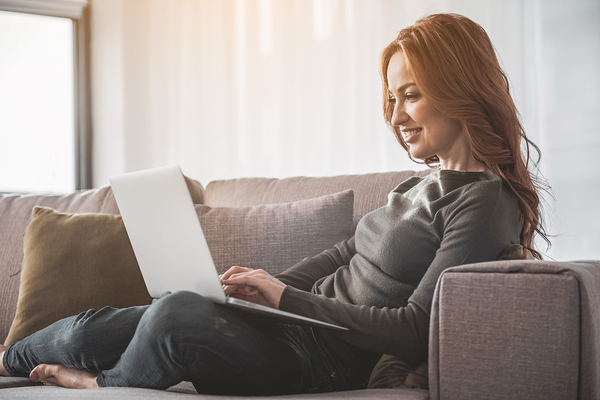 While many Excel loan amortization schedules are simple enough to use, one of these files could give you some difficulty or may not quite suit your needs. Whether you need help with a formula, updating some formatting, or fixing an error, Excelchat provides expert-level assistance around the clock. Our team of Excel experts is standing by 24 hours a day, 7 days a week to give you the help you need when you need it. Just open a chat window to get started. Your first session is always free.